For those of you wanting to learn more about the ideas behind ecoscenography, here is a short list of books that I recommend to get started. These are the 5 key texts (many from broader fields of architecture and design) that have inspired me personally to embrace a more ecological ethic in my work. They focus on hopeful and motivating ideas that encourage positive action in a world of often challenging circumstances. Many will be available at local libraries. Enjoy! 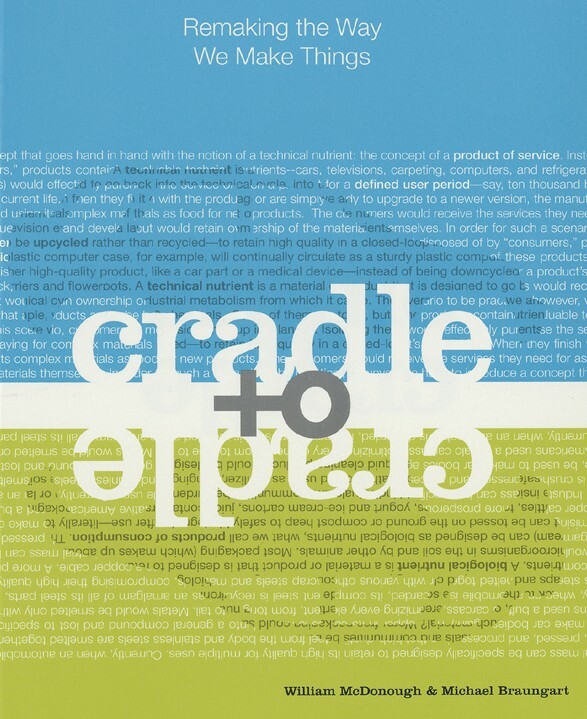 Cradle to Cradle – Michael Braungart and William McDonough (2002): This is “the book that changed my life” (yep, this is no joke!). I read it when I first started my PhD and it changed my whole perspective on what ecological design could be. Before I picked up Cradle to Cradle in 2011, I thought ‘reduce, reuse, recycle’ was all I could do to combat environmental issues…and then, this book came along and opened me up to a whole new way of looking at the world. While the book is becoming somewhat dated now, it is still an excellent, highly positive and hopeful start to thinking beyond ‘doing more with less in order to minimise damage’. Cradle to Cradle also became the premise for The Living Stage concept. If you could read one book on this list, this would be it! 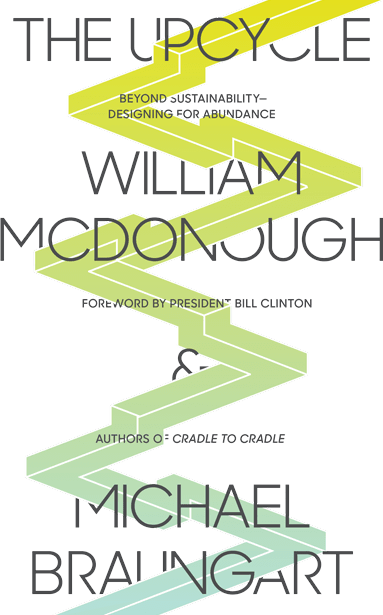 The Upcycle – Michael Braungart & William McDonough (2013): Once you’ve read Cradle to Cradle (and are hungry for more), you might also enjoy McDonough and Braungart’s latest edition on designing for abundance. Building on the authors’ former book, The Upcycle talks about design as a tool for positive impact, starting with the idea that “upcycling eliminates the concept of waste”. A Fascinating book with lots of tangible examples that makes you want to get up from your sofa and start making things happen. 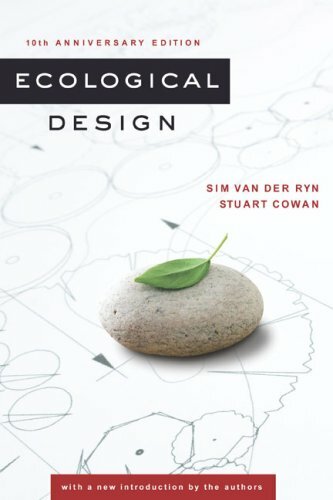 Ecological Design – Sim Van der Ryn and Stuart Cowan (2007): While a little more technical and architectural in focus, this book is a wonderful introduction to the field of ecological design and an excellent resource for those wanting to understand systems-based approaches. Ecological Design is all about enriching the connection between humans and natural systems. Van der Ryn and Cowan’s five ecological principles –Solutions Grow from Place, Ecological Accounting Informs Design, Design with Nature, Everyone Is a Designer, Make Nature Visible – were also used as a guiding structure for The Living Stage design. This book is a much loved (and suitably dog-eared) book on my shelf. The ecological design principles and their application to scenographic practice are also explored in my latest paper: The Living Stage: A Case Study in Ecoscenography. 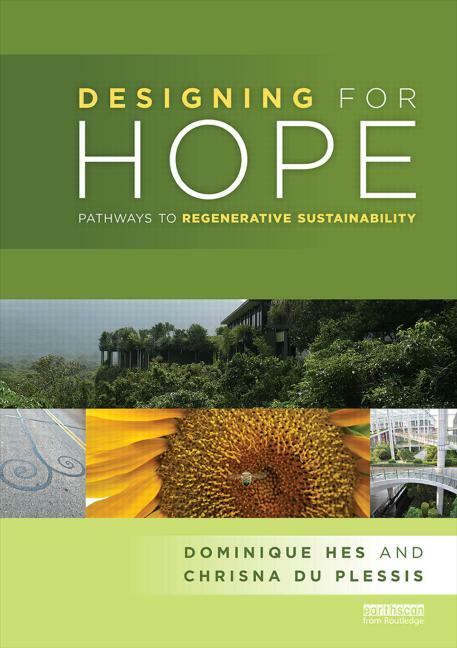 Designing for Hope: Pathways to Regenerative Sustainability – Dominique Hes & Chrisna du Plessis (2015): Fresh off the press, this is a ground-breaking book that continues to inspire me. Designing for Hope introduces the reader to the ‘ecological world view’ and demonstrates ways in which we might begin to engage with positive legacies and abundant futures. The book explores notions of contributive practice, Regenerative Development, Biophilic Design, Biomimicry, Permaculture and Positive Development (all with tangible examples). It asks: ‘How can projects focus on creating a positive ecological footprint and contribute to community?’; How can we as practitioners restore and enrich the relationships in our projects? ; and ‘How does design focus hope and create a positive legacy?’. Inspiring! 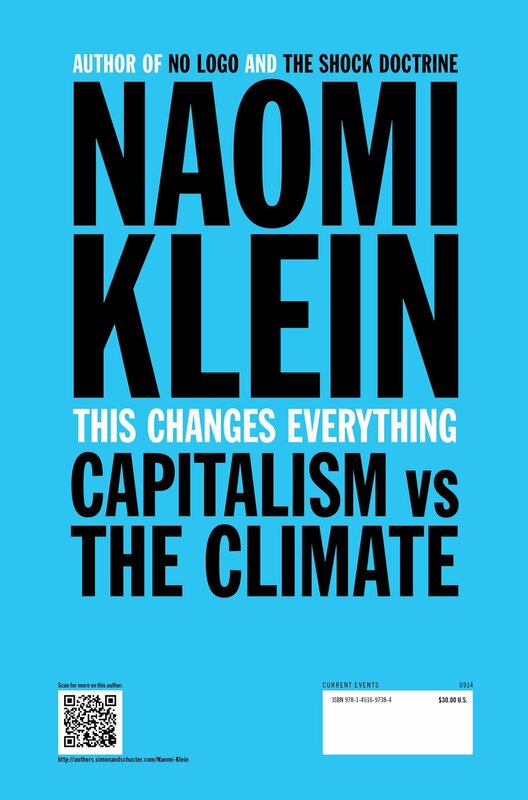 This Changes Everything – Naomi Klein (2014): A large tome and not for the faint-hearted, This Changes Everything is a must-read for anyone concerned with Climate Change and hoping to understand more about the psychology of denial and it’s link to capitalism. “It is always easier to deny reality,” writes Naomi Klein, “than to allow our worldview to be shattered”. Beautifully researched, passionate and intelligently written, this book is a permanent fixture on my bedside table at the moment. ← Growing Stages: A Lesson in EcoZenography?